Has a huge reserve of peanuts been found under Gatwick or something? Global barrel prices are plummeting! What are you going to do with 1kg of peanut butter? Ticket says £3.49 at Crewe Morrisons. 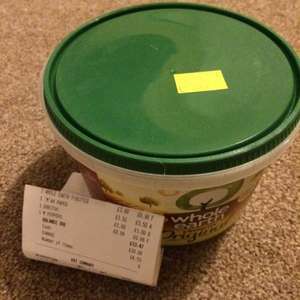 Just yesterday paid £4.99 for the same tub though! Hot! I was given a free sample of this and I have to say I thought it tasted very bland, perhaps I have too much of a sweet tooth! Twice as much as you can do with 500 grams. Paint the ceiling of the Sistine Chapel. Use it as mortar for the brickwork at the base of a conservatory. No wait, my mistake... eat & enjoy it. THese tubs are just new. And reduced to clear already? If you eat enough of it, you'll also have a decent clear out. Dunno if anybody will be able to answer this but how does this compare to myprotein's peanut butter? Dunno if anybody will be able to answer this but how does this compare to … Dunno if anybody will be able to answer this but how does this compare to myprotein's peanut butter? I saw this at my local morrisons. Good deal. However i checked the ingredients and it had Palm Oil and Salt. about 4% in total. Not a lot but put me off buying any. This price with 100% peanuts would be a brilliant deal if its available?! My Protein/ Meridian has 100% peanuts only. This stuff has Palm Oil and Salt. 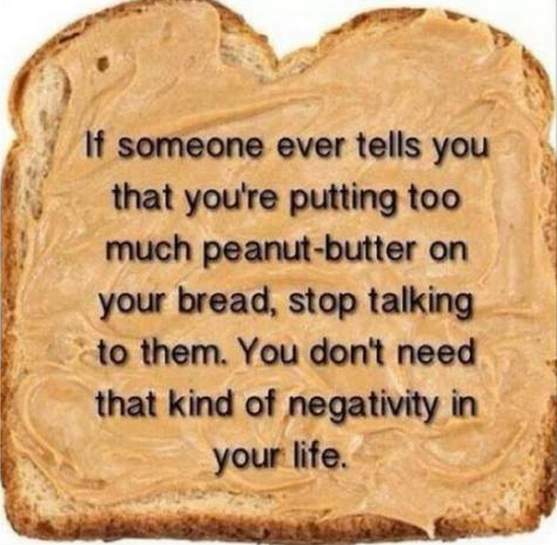 What do you think people normally do with peanut butter? My Protein/ Meridian has 100% peanuts only. This stuff has Palm Oil and … My Protein/ Meridian has 100% peanuts only. This stuff has Palm Oil and Salt. Meridian is foul tasting since they can't even be bothered to remove the peanut skins from the mix. Imagine roasting peanut skins, crumbling them up and eating them - they're bitter and burnt tasting. Adding that peanut butter just gives Meridian an unpleasant burnt / bitter taste. Has a huge reserve of peanuts been found under Gatwick or something? … Has a huge reserve of peanuts been found under Gatwick or something? Global barrel prices are plummeting! Russia have reopened the peanut pipeline that supplies much of Europe. My dog will lick this off all day long. Duh! Fill the pool and invite the ladies over, what else? What is difference between this and 'Normal' peanut butter? Hey thanks a lot for the reply. I guess I'll be sticking with myprotein then. Sadly demand for palm oil is leading to deforestation in several parts of the world and threatening endangered species like orangutans . It's possible it could come from a sustainable source but it's just so hard to know for sure. Velvet-smooth spread with a rich and hearty flavour. No Added sugar. Suitable for vegetarians and vegans. INGREDIENTS: Roasted Peanuts (96%), Sustainable Palm Oil, Sea Salt. For more information about Palm Oil, click here. Has a 'sustainable palm oil' stamp on the front of the tub...not sure exactly what that means but makes me feel better. Is it smooth or crunchy? good deal for 1Kg. Picked up a tub of smooth a few days back, no crunchy on the shelf (or any place for it) in our local.